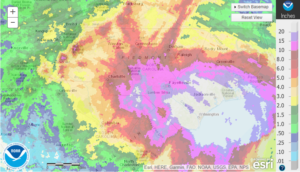 Hurricane Florence barreled west from Wilmington, and while much of the Catawba River basin received some rain, the heavy rain with Florence’s remnants peeled north before soaking the Catawba. 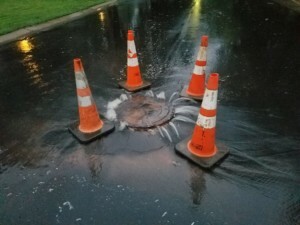 Almost one foot of rain fell in a small area of the eastern part of the basin draining to the free-flowing river between Lake Wylie and Fishing Creek Lake. This includes central/southern Mecklenburg County and western Union County. 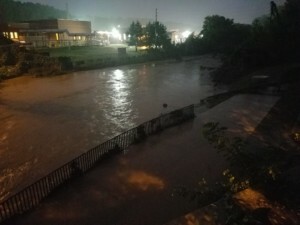 The Catawba River basin’s highest flow events typically result when the entire basin — but especially the upper part — are inundated, as happened in the Great Flood of 1916 and major flooding that hit (with a delay) in May 2013. 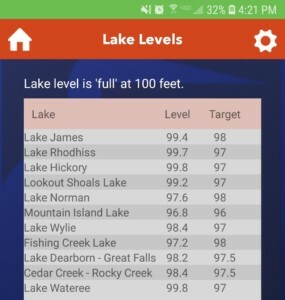 Duke Energy dropped reservoir levels below target levels (approximately 4-5 feet below full pond) in anticipation of Florence. As of Wednesday, September 19, most of the reservoirs were less than a foot from full pond. 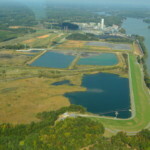 Any reservoirs that exceed full pond (standardized 100′ level) will not do so by much. We have been fortunate to avoid record rain and flooding — including of Superfund, coal ash and industrial agriculture sites — like what river basins in the eastern Carolinas have experienced. 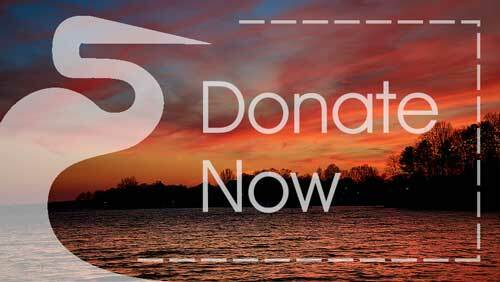 Riverkeepers in the most affected basins — Cape Fear, Neuse, Waccamaw, Pee Dee — are hard at work documenting problems. After hurricanes Floyd (1999) and Matthew (2016) we did not see the changes we needed to prevent what have often been very preventable contaminant release events. We are working with Riverkeepers east of us so that statewide changes can be made to prevent this from happening again. While we didn’t get hit this time, they didn’t feel the brunt of the Great Flood of 1916, and at some point, especially given how frequently these high-precipitation events are happening, it’s only a matter of time before it’s our turn again to deal with record rainfall. We actually needed the rain. 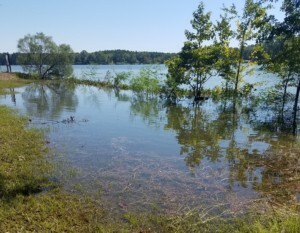 After a couple wet stretches this spring and summer, the Catawba River basin got dry quickly, and drought started to develop in parts, at its worst precisely where the heaviest rain had fallen. Additionally, the mountains received rain at a much-needed time. This is one critical component of a good, vibrant leaf season this fall. The other component is cool weather, and some of that might arrive soon, too, with the weather fronts finally changing again. Stay tuned for details on our fall leaf eco-tour and hike at the end of October! Keep an eye on our social media for links with more pictures. Riverkeepers are still inspecting impacted areas by plane, boat and foot daily. 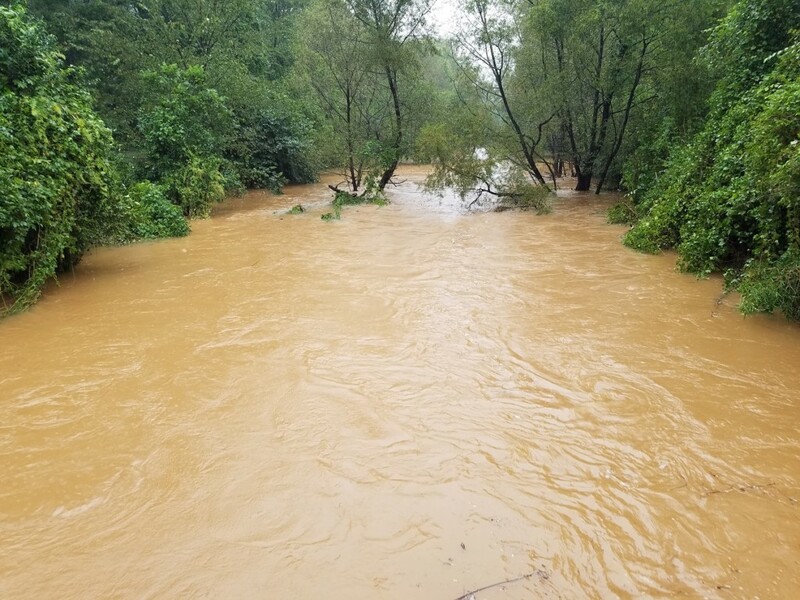 Waterkeeper Alliance is compiling documentation and impacts from Florence on their Flickr page here: https://www.flickr.com/photos/waterkeeperalliance/sets/72157698057980582 Around the Catawba River basin, here are a few more shots, but ultimately, we did not receive too many pollution reports other than a lot of trash washing down with flood waters. 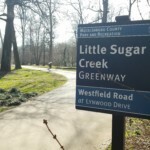 Be ready to engage in a local Riversweep — we have a bunch over the next six weeks! Visit www.CatawbaRiverkeeper.org/events for details.